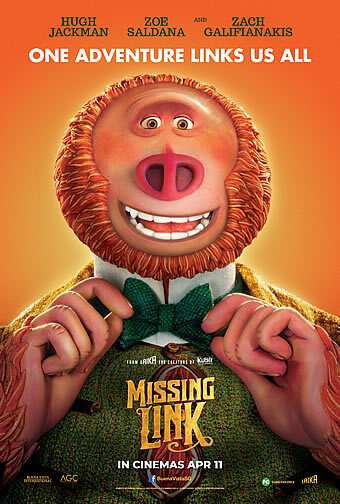 Synopsis: This April, meet Mr. Link: 8 feet tall, 630 lbs, and covered in fur, but don’t let his appearance fool you… he is funny, sweet, and adorably literal, making him the world’s most lovable legend at the heart of Missing Link, the globe-trotting family adventure from LAIKA. Tired of living a solitary life in the Pacific Northwest, Mr. Link recruits fearless explorer Sir Lionel Frost to guide him on a journey to find his long-lost relatives in the fabled valley of Shangri-La. Along with adventurer Adelina Fortnight, our fearless trio of explorers encounter more than their fair share of peril as they travel to the far reaches of the world to help their new friend. Through it all, the three learn that sometimes you can find a family in the places you least expect." We love Hugh Jackman. He made Wolverine a relatable superhero, sang his heart out as Jean Valjean and gave it his all by playing The Greatest Showman. Even when the star takes on antagonistic roles in less acclaimed movies like Chappie and Pan, he exudes enough charisma to get people talking about him. Things don’t seem to be the case with his latest voicing role though. As Sir Lionel Frost, an adventurer who ventures onto roads less travelled to find legendary creatures, he just isn’t very likeable. The self important human being’s objective seems to be proving naysayers wrong and gaining acceptance from his peers. Then there is this part where the self proclaimed Casanova tries to work his charm on the female protagonist. Not too pleasant either, we’d say. Although he learns about humility at the end of the day, you can’t help but feel he is a white saviour who has gotten his happy ending. 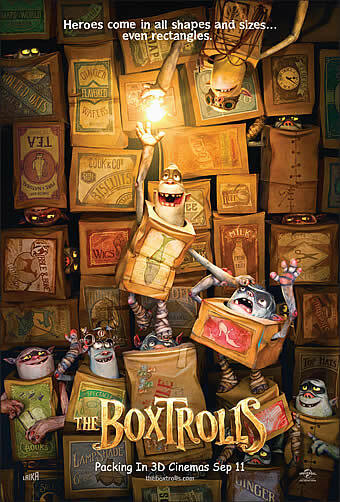 Fortunately, this aspect is easy to overlook because this film is produced by Laika, the stop motion animation studio who has delivered visually stunning features like Coraline (2009) and The Boxtrolls (2014). 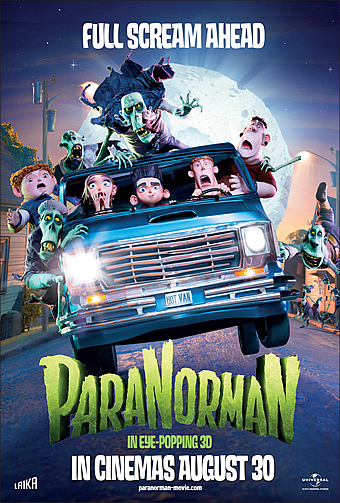 The four movies before this tugged at heartstrings in different ways (our favourites were ParaNorman and Kubo and the Two Strings), and the latest project directed by Chris Butler aims to do the same. 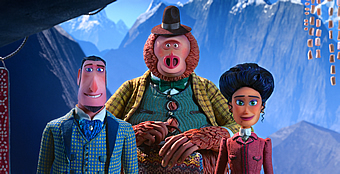 Let’s get Sir Lionel out of the picture – the star of the show is undoubtedly Mr Link (voiced adorably by The Lego Batman Movie’s Zach Galifianakis), a Bigfoot searching for his relatives. The screenplay written by Butler would bring the creature and the arrogant monsters investigator to Shangri La, a mythical place which supposedly only exists in legends. Coming along for the ride is a widow (voiced with gusto by My Little Pony: The Movie’s Zoe Saldana) of another adventurer who had a past with Sir Linus. Although he is a Bigfoot, Mr Link is literate and cracks the wittiest jokes (most of the time, unintentionally), which makes him a joy to watch whenever he appears on screen. It also helps that his desire to be part of a community is affectionately characterised, and you look past logic to go along with the story. Other notable voice actors include Emma Thompson (Johnny English Strikes Again) as a Yeti elder, Stephen Fry (Sherlock Holmes: A Game of Shadows) as an obnoxious adventurer and Timothy Olyphant (I Am Number Four) as a bounty hunter. 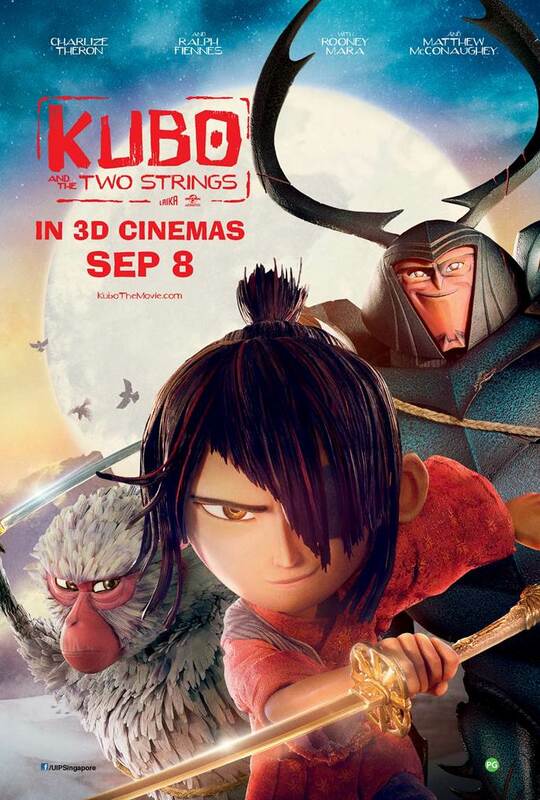 In terms of visuals, expect nothing less from Laika. The 94 minute movie’s visuals are breathtaking, considering that the sceneries and characters are essentially manipulated physically in small increments so that they will appear to move when the frames is played back as a fast sequence. The vivid imagination of the filmmakers is evident. From the opening sequence where Sir Lionel faces a sea monster to the finale where the protagonists reach the fabled valleyof Shangri La, there is much for your eyes to feast on. 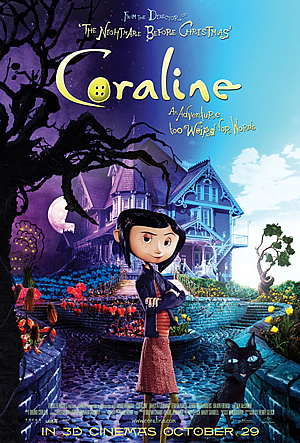 This is a kid friendly movie, with some important lessons to learn. There are occasional moments which adults will enjoy (especially the deadpan humour courtesy of Galifianakis’s Mr Link), and although predictable, the end result is a sincere production complemented by very impressive stop motion animation.